Humans cannot drink saline water. But, saline water can be made into freshwater. The process is called desalination, and it is being used more and more around the world to provide people with needed freshwater. As the population continues to grow, shortages of fresh water will occur more often. In some areas, salt water (from the ocean, for instance) is being turned into freshwater for drinking. A new Invention by a Florida teenager aims to create freshwater by harnessing the kinetic force of ocean waves. 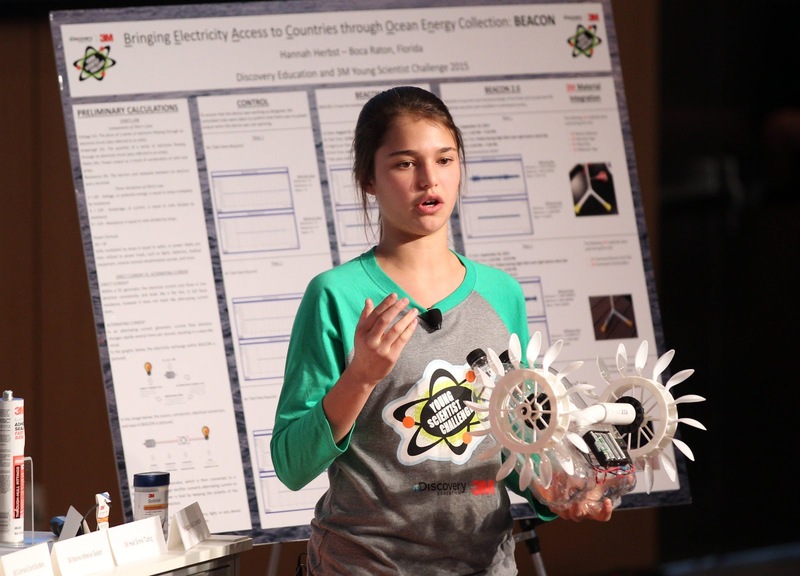 Hannah Herbst has invented a small-scale renewable energy alternative, designed for the developing world, which costs just $12! Hannah Herbst is a winner of the 2015 Discovery Education 3M Young Scientist Challenge and awarded the title of 'America's Top Young Scientist'. Hannah's Ocean Energy Probe aims to provide a stable power source and fresh water to developing countries around the globe by using untapped energy from ocean currents. The energy is stored in a generator, and then can be harnessed for many uses, including the desalinization of water. "I found out that she's living in energy poverty, and she doesn't have access to things that I take for granted every day," Herbst says. "Then I was boating with my family through the Boca Raton Inlet, and our boat was really jerked around by the current. I thought, why not use this power? ", as reported Fastcoexist. Her prototype uses a 3-D printed propeller connected by a pulley to a hydroelectric generator. As waves move the propeller, the generator turns that motion into usable electricity. As part of the contest, Herbst worked with a scientist from 3M to refine the design into a final prototype. This small scale Invention could be used to power to run a small desalination machine which turns ocean water into sage drinking water, says Herbst. 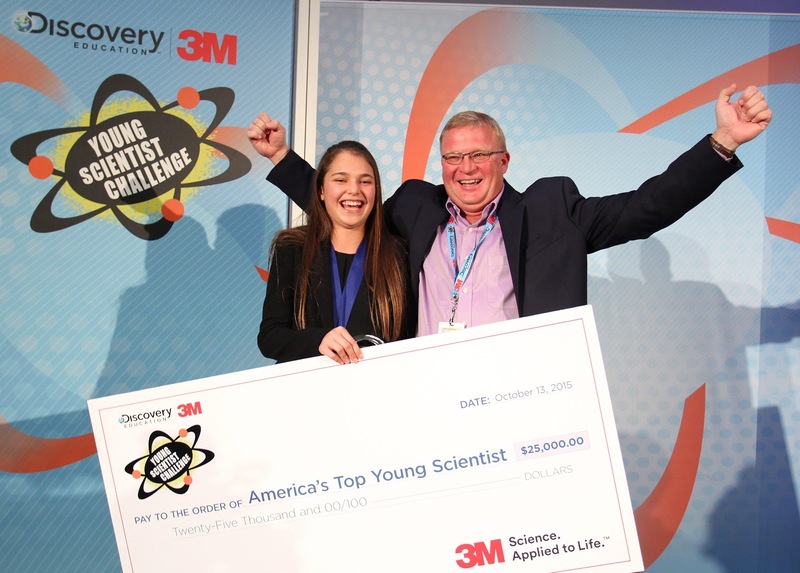 The Discovery Education 3M Young Scientist Challenge is the United States’ premier science competition for grades 5-8. This one-of-a-kind video competition has sparked the imaginations of hundreds of thousands of students and enhanced science exploration, innovation and communication across the United States. How to participate in this competition? As per their office site, If you want to enter this video competition, students need to think critically about the world around them; identify an everyday problem relative to their lives; brainstorm real-world solutions using science, technology, engineering and math STEM principles; and produce a 1-2 minute video explaining their innovative solution. You need to follow the simple steps as mentioned in the link Young Scientist Challenge. The six billion people of Planet Earth use nearly 30% of the world’s total accessible renewal supply of water. By 2025, that value may reach 70%. Yet billions of people lack basic water services, and millions die each year from water-related diseases. Hannah's invention could help in solving the fresh water crisis around the world. Indeed, a great Invention in the area of renewable energy!